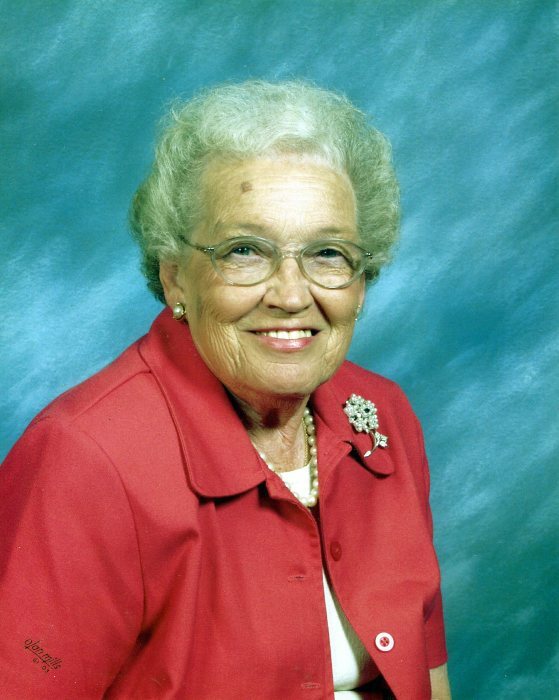 Helen Elizabeth “Betty” Bales, age 91 of Morristown, passed away peacefully at her home on Saturday, February 9, 2019 with her family by her side. She was a longtime member of Grace Baptist Church and after graduating from high school she worked for Bell South as a telephone operator before raising her family. She is preceded in death by her husband, Dewey L. Bales; parents, Walter W. and Alta McNabb Brown; sister, Louise Gregory; brothers, Fred, C. Hunter, Paul Brown. She is survived by her children, Stephen L. (Karen) Bales, Janice Kaye (Phil) Wampler, Michael S. (Hazel) Bales; grandchildren, Derek Bales, Sarah (Phillip) Rowan, John (Gretchen) Wampler, Michelle (Al) Smith; great-grandchildren, Dusty and Johnny Bales, Emma and Ava Rowan. The family will receive friends Tuesday, February 12, 2019 at Grace Baptist Church from 5 – 7 P.M. Funeral services will follow at 7 P.M. with Rev. James Williams officiating. Graveside/entombment services will be Wednesday, February 13, 2019 at Hamblen Memory Gardens at 11:30 A.M. The grandchildren will serve as pallbearers. The family would like to give a heartfelt thank you to her sitters, Dorothy, Nadeen, Jamie and Rosie, and to UT Hospice Care. In lieu of flowers, memorial donations can be made to Grace Baptist Church. Arrangements by Stetzer-Bales Funeral Home.